leave anything on the table or give something for nothing? 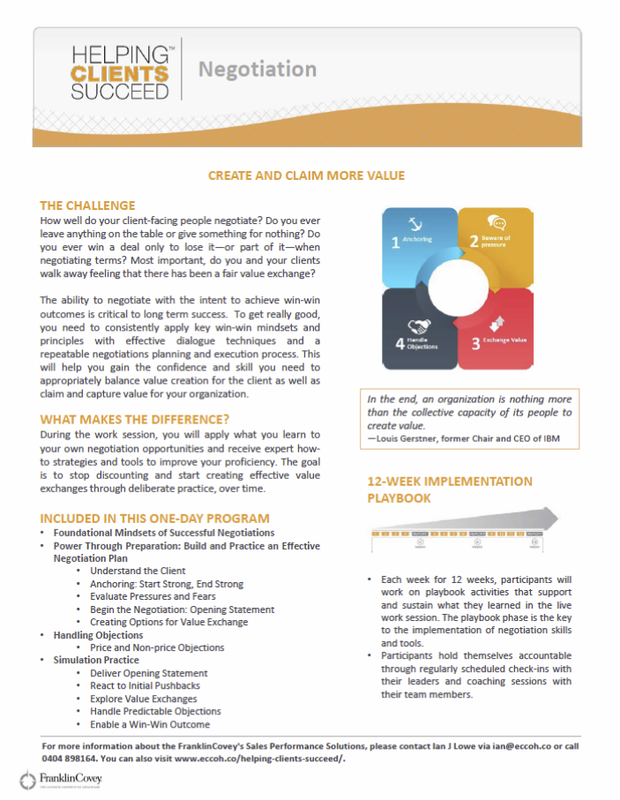 Few things can be more daunting than negotiating with tough client organisations. As a result, consultants and salespeople often negotiate too hard or too soft for their own or their client’s interests. Are consultants and sales people in your organisation experiencing any of the following? 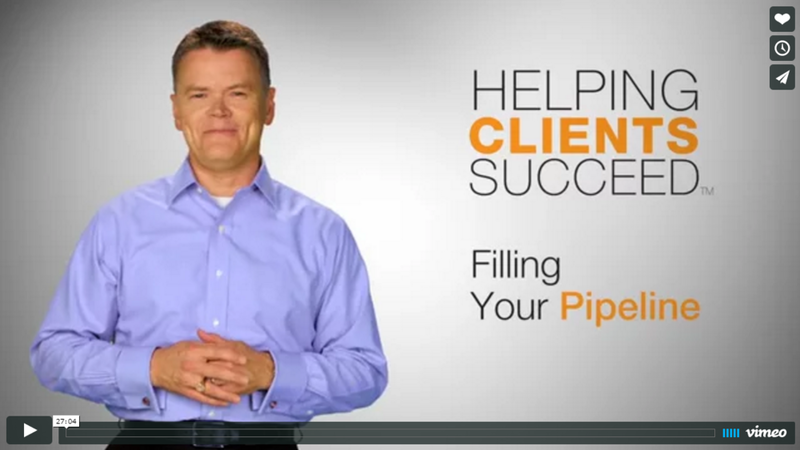 Giving in on price or sacrificing margins to win the business. How well do your client-facing people negotiate? Do you ever leave anything on the table or give something for nothing? Do you ever win a deal only to lose it, or part of it, when negotiating terms? Most important, do you and your clients walk away feeling that there has been a fair value exchange? What makes the difference? Find out by downloading this solution sheet and completing the registration of interest form at the bottom of this page. Each week for 12-weeks, participants will work on playbook activities that support and sustain what they learned in the live work session. 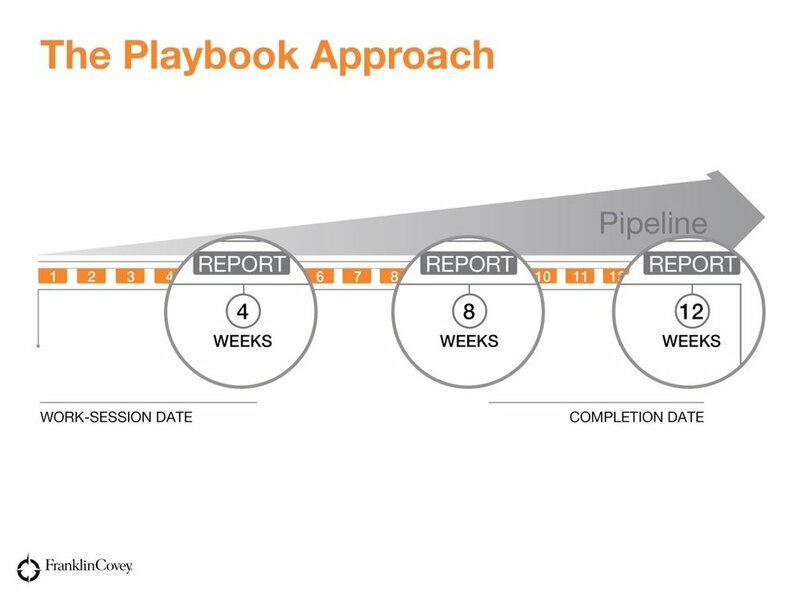 The playbook phase is the key to the implementation of negotiation skills and tools. Participants hold themselves accountable through regularly scheduled check-ins with their leaders and coaching sessions with their team members. Learn to plan for negotiation, create options for mutual gain, and move negotiation from bargaining to closing. Please click on the link below and we'll be in touch to find out if FranklinCovey's Negotiation solution would work for you and your organisation.